There have been some fantastic exhibitions at Swansea Grand Theatre this year. Most recently it was Habitats, in which some fascinating works by Sir Frank Brangwyn standing side-by-side with more contemporary works inspired by the Anglo-Welsh artist’s The British Empire Panels, the epic larger-than-life panels which lend their name to the city’s Brangwyn Hall. Dotted over multiple floors in the theatre’s arts wing, these art displays are always a good excuse to pop in to the theatre, with or without a ticket. It could be on a lunch break or during a stroll around town or, ideally, as a handy and creative way to kill some time before, or during the interval, of a show. This November, I’ll be there to officially open a new bi-annual event which I think is one of the more important displays of the year – an exhibition which shows off the skills of local painters from Mumbles and across Swansea, some of which will be daring to display their work publicly for the first time. 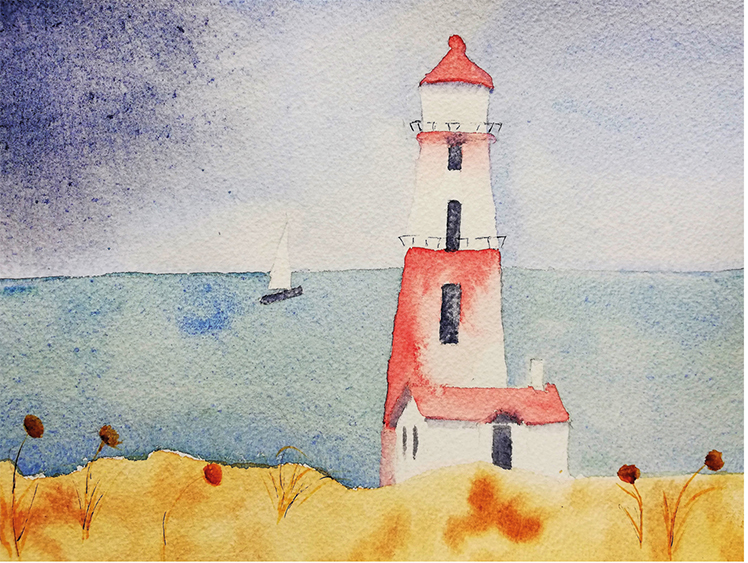 The Mumbles and Grand Theatre Art Group A Grand Exhibition opens on Monday, November 12, with a series of drawings and paintings inspired by Visit Wales’ year-long Year of the Sea. The tourism campaign has been highlighting some of the often-overlooked treasures which can be found along the Welsh coast, treasures which, here in Swansea Bay, we are more than blessed with. 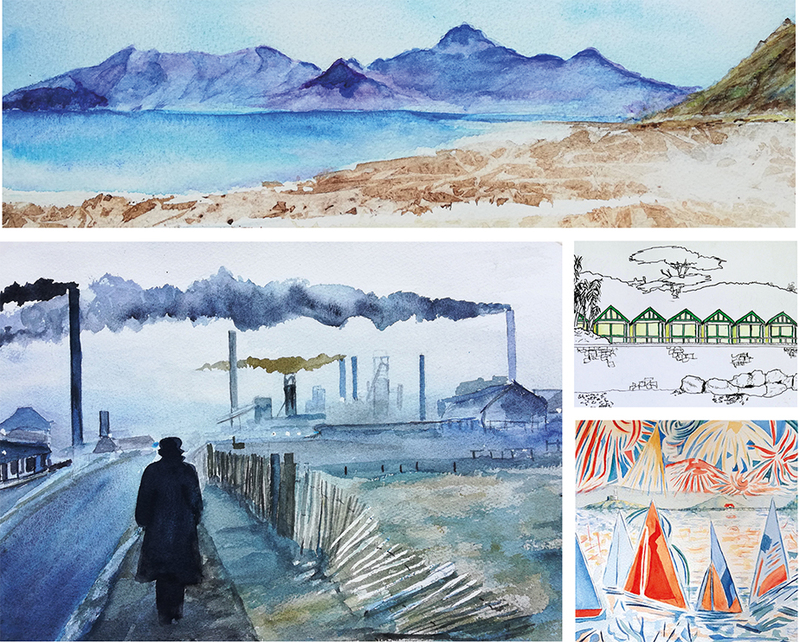 Described as “a celebration of the beautiful Welsh coastline and other subjects”, the topics will range from local landscapes to figurative art, all presented in a variety of mixed media. I’ll be there to open the show on November 16 and, keeping with the Year of the Sea theme, there’ll also be a charity raffle to raise funds for Mumbles Lifeboat on the night. It also ties in nicely with the release of my next book, The Little Book of Welsh Landmarks, which is itself full of coastal landmarks, and goes on sale November 1 – I’ll be signing copies after the launch. Whatever day or night you decide to pop along, enjoy the art, and maybe enjoy a show at the same time. * The Mumbles and Grand Theatre Art Group A Grand Exhibition opens on Monday, November 12 and runs until Friday, November 30. If you are thinking of combining a visit to the exhibition with a theatrical performance, the show which I’m most looking forward to this month is Tchaikovsky’s seasonal classic The Nutcracker. As much as I love panto season, Christmas time officially starts for me with my first viewing of the festive favourite, ideally accompanied by a glass of mulled wine. Dripping with enough tinsel and cheer to melt the heart of even the most hardened of Scrooges, the ballet will be performed by The Russian State Ballet and Opera House, who were recently in town with Carmen and La Traviata. But I think it’s just as much about the musicians in the pit as those on stage, and with a musical score this good, I could quite happily watch it with my eyes closed. Also, this year it arrives in Swansea just a few days before we open the first door of our advent calendars, which is just about early enough for it to be considered time to start counting down the days until Christmas. Last year it visited on the unseasonably early date of October 31, when I was far too busy carving pumpkins to think about trimming any Christmas trees!